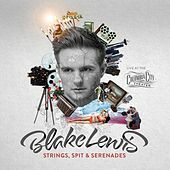 The rest of America might know him as second runner-up to Jordin Sparks on the sixth season of American Idol, but in Blake Lewis's hometown of Seattle, he's Bshorty, that cute kid who used to beatbox in local clubs (and sometimes even on the streets!). 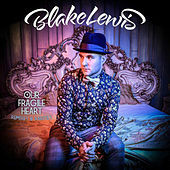 Actually, that's not all that was removed from his reputation on Idol, where Lewis made a name for himself with his boyish charm, blue-eyed soul, and, yes, his regular (and skillful) beatboxing. Long before Simon and company labeled him a frontrunner, however, Lewis had his eyes on a career as a spunky, funky music-maker. As a teenager in suburban Washington, Lewis performed in school musicals; learned to play guitar, keyboard, and drums; and made comic hip-hop videos (such as "The Chuck Norris Rap") with his friends under the name Jimmie Walker Blue. At 17, he taught himself to beatbox and spent the next four years in a capella group KickShaw, before going solo under the name Bshorty in 2002. In 2006, he wowed judges at Idol's Seattle auditions with his rendition of Seal's "Crazy" before making it all the way to second place. Arista released his debut album in fall 2007.